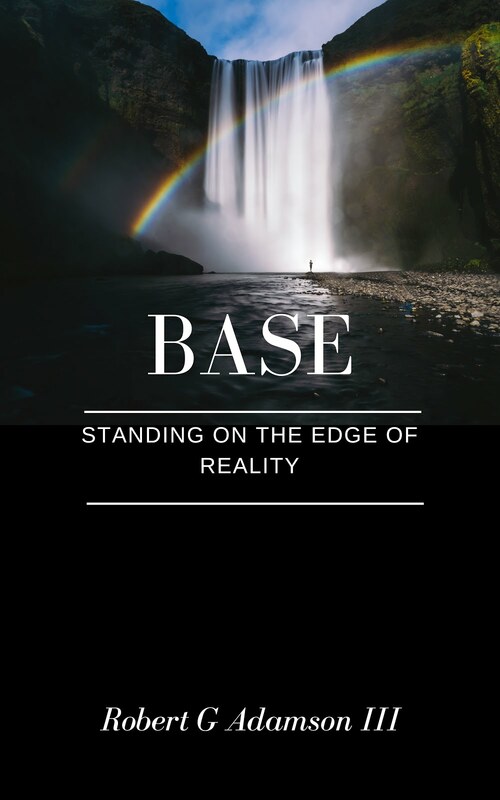 The history of photography is fascinating. The artists taking these photos would be amazed at our modern mobile cameras and Apps. In 1822, Nicéphore Niépce, created the first fixed, permanent photograph, a copy of an engraving of Pope Pius VII. He accomplished this by contact printing in direct sunlight without a camera or lens. This first photo was destroyed later. Then in 1824, Niépce created the first durable, light-fast camera photograph, on the surface of lithographic stone. 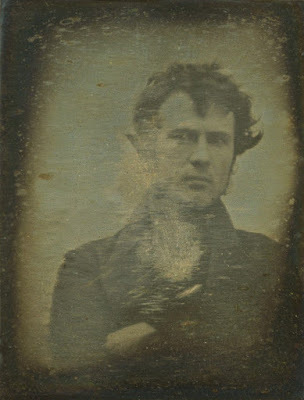 This photo was also destroyed in the course of his experiments. 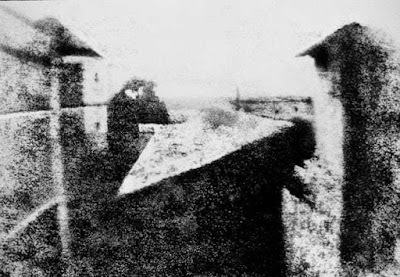 Then in 1826 Niépce took the earliest surviving photograph from nature. It required exposure in the camera of at least eight hours. The next is a photograph of Boulevard du Temple in Paris. 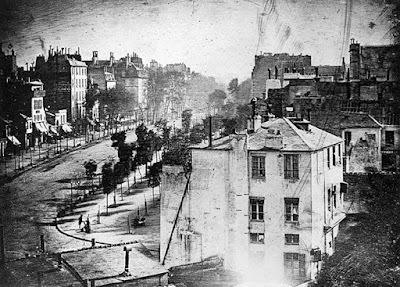 It was shot in 1838 by Louis Daguerre. This is the first photograph to include a human. The exposure time was over ten minutes. There were other people, horses, and moving objects, but they disappeared from the photo because of the long exposure time. But the man in the bottom left was having his shoes shined, so he was basically still enough to be included in the photo - making him the first human to ever be photographed. Finally, here is the first Selfie ever taken. The date is 1839 in Pennsylvania, Philadelphia USA. His name is Robert Cornelius.